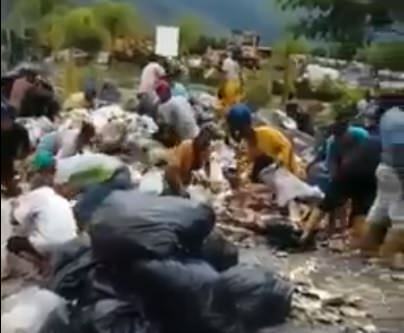 Venezuelans pick through trash for food. The children and adults are fighting over garbage now. In March 2007 Venezuelans voted in Socialist and Cuban lackey Hugo Chavez as president. 11 years later the country is near collapse, the people are starving and the Marxists refuse to relinquish power. The average Venezuelan today has lost 24 pounds since the food shortages began. Western media refuses to focus on this tragedy because they all supported this far left regime. The people need new leadership and prayers.